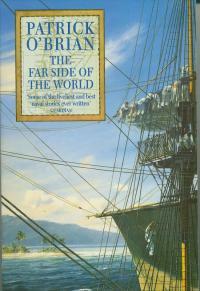 The cover of The Far Side of the World is a closeup of the upper rigging of the Surprise as it approaches a tropical island. The mast illustrated is the foremast, showing the fore yard, fore topyard, and where the lower foremast is joined to the fore topmast, just above the foretop platform. Supporting backstays and shrouds lead from these masts down to the left. Just below the platform can be seen the short horizontal lines called catharpings that draw tight the shrouds and the angled futtock shrouds that the seamen climb instead of using the lubbers hole. Additional standing rigging include the black lines running diagonally from different places on the foremast to the upper left. These are various mainstays. Other lighter brown lines are the braces, terminating at the ends of the fore and fore top yards. The crew is engaged in shortening sail, in particular furling the fore topsail. The yard has first been lowered down almost on to the cap. The topmen have laid out on the yard, standing on a swaying footrope while balancing by leaning forward onto the yard. Most of them appear to be wearing shoes. The stunsail boom has been temporarily lifted up to keep it out of the way. The men are reaching over the yard, pulling up the canvas, and arranging it in folds. When they reach the foot of the sail, it will be folded over in such a way to cover the previous folds so that water will not accumulate in the pockets formed. Short strap-like gaskets are then tied around the bundled canvas to keep it in place. 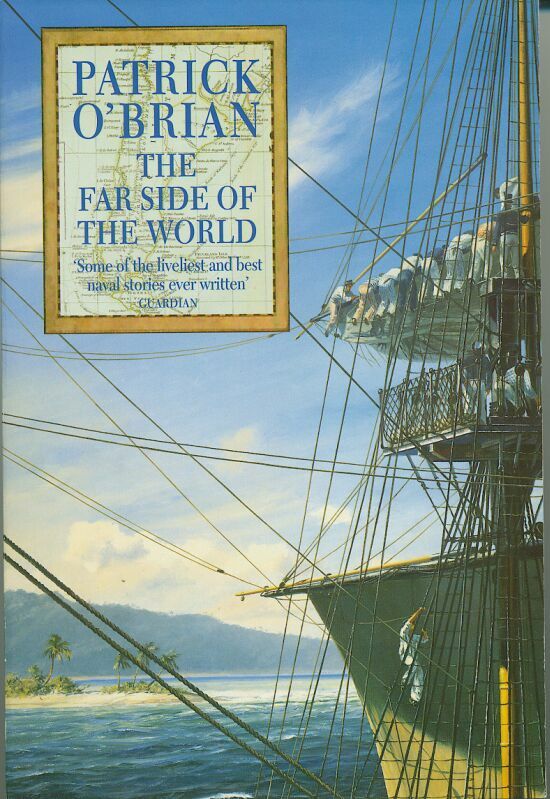 A minor officer in a blue jacket and tall hat, perhaps a midshipman, a bosun's mate, or even the bosun himself stands on top of the cap directing the work. What is curious is that the topsail is being furled before the fore course. Usually the fore course would be taken in first.